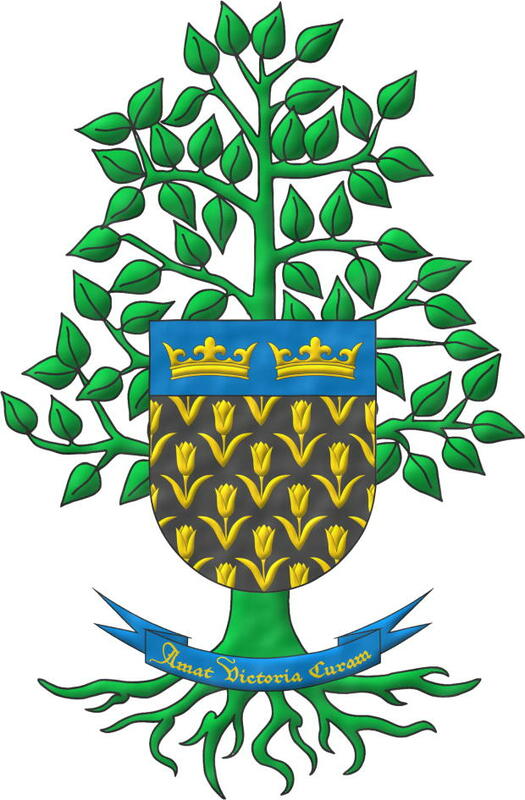 Tree: B. Quesada, coat of arms with motto and support. 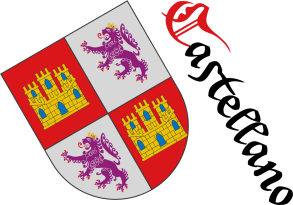 B. Quesada, video of the blazon. Watercolor, Eradicated, Azure, Crown, Cousu, Created, Outlined in sable, Outlined in the field tincture, Two, In fess, Coat of arms, Scroll, Personal, Illuminated, Chief, Motto (motivation), Semi-circular, Or, Without divisions, Quesada Valles, Bartolomé, Sable, Semé, Vert, Support (thing), Tulip, Video and Tree.